RotorSports Racing offers installation and tuning for the following engine management systems. Each one has it's benefits and disadvantages in both function and cost. Call for more information. RotorSports also offers tuning for engine management systems. Ask about dyno days. The A'PEXi PowerFC is a very popular choice for the 13B-REW 3rd Generation RX-7. And it's the simplest to install since it just replaces your stock ECU and plugs directly into the existing wiring harness. The Commander unit is a very convenient control module for the tuner enthusiast when a laptop is not available. Datalogit PC Software for the Power FC is available, adding laptop connectivity and more versatility for fine tuning and increase funtionality. Piggyback fuel computer modifies air-flow meter signal (pressure signal in some vehicles) to optimize fuel-air ratio; Vacuum Fluorescent Display (VFD). The second-generation S-AFC is a fuel computer that adjusts fuel/air ratio by modifying the air-flow meter/MAP sensor signal. The S-AFC features a user-definable, eight-point, adjustable fuel curve that can be set in 500 RPM increments. 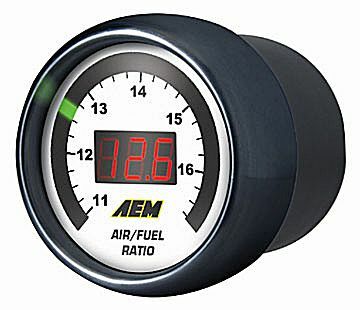 The range of fuel adjustment is +/- 50% at each of the user-defined setting points. On hot-wire vehicles, the Deceleration Air Flow Correction function is capable of curing the erratic idle and stall problems associated with open-atmosphere blow-off valves on hot-wire air-flow meter systems. 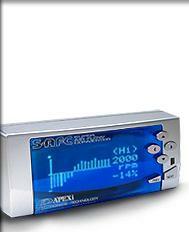 The S-AFC is capable of monitoring and replaying the following data channels in Numerical, Analog Meter and Graph displays: Intake Manifold Vacuum/Boost Pressure, Air Flow Capacity, Intake Manifold Pressure, Karmann Frequency, Engine RPM, Throttle Position, and Air Flow Correction %. 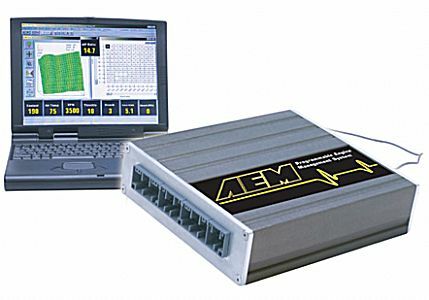 AEM�s Plug & Play Engine Management System (EMS). This user-programmable system plugs directly into a vehicle�s factory ECU harness and requires no additional wiring or hardware. * Windows�-based software (2000, NT, 98, 95, ME) makes the task of copying, viewing and manipulating data as simple as a click of the mouse. 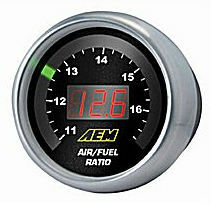 User-defined templates are easily configurable and enable tuners to establish �quick keys� to any pertinent information during the tuning process.The AEM EMS�s infinitely adjustable software allows tuners to program virtually any combination of engine control, power adders and auxiliary devices, and accurately deliver proper amounts of fuel and correct ignition timing for ANY boost level or operating condition. 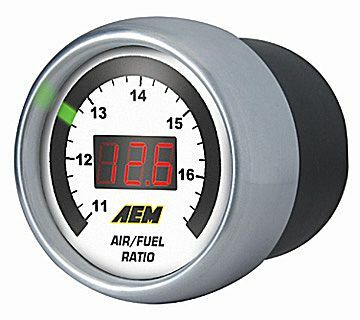 AEM�s Wideband UEGO Controller is also available in a gauge that includes a single-channel analog output with a Bosch O2 sensor in one unit! 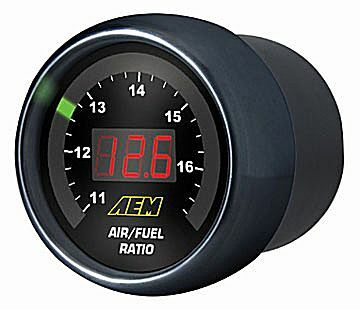 AEM�s Gauge-Type Wideband UEGO Controller features an LED readout and sweeping LED �needle� that changes colors as AFR changes from rich to lean. The unit�s 52mm (2-1/16�) gauge housing fits in most gauge pods and can be remotely mounted virtually anywhere. No laptop required for monitoring! The Haltech E6K has been a very popular and reliable choice for many years. And now the new E6X release replaces the E6K. The E6X still offers "real time" programmable fuel injection and ignition control for rotaries, 1-6, 8, 10, and 12 cylinders, naturally aspirated, turbocharged and supercharged. DOS based with minimal requirements.